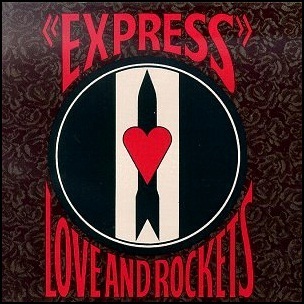 On September 15, 1986, “Beggars Banquet” label released “Express”, the second Love and Rockets studio album. It was recorded in 1986, at “Woodbine Street Studios” in Leamington Spa, UK, and was produced by John A. Rivers, Daniel Ash, David J and Kevin Haskins. All tracks written by Daniel Ash, David J and Kevin Haskins.